Campbell shared some of the highlights of her grandmother’s life, which began with her birth in 1878 in Glasgow, subsequent marriage in 1890 to Louis Haniford (Ljeb Hanoft) from Poland, journey to Winnipeg in 1902, then to a farm near Hanna, Alta., in 1907. Life was very hard for Sarah and Louis, with the harsh climate and work on the farm, to which they were far from accustomed, having been in the watch-making business up until the move. In 1922, Sarah, who had by then given birth to nine children, was in very poor health, and Louis, not knowing what else to do to help her, sent her to St. Paul’s Hospital in Vancouver. Unfortunately, her health deteriorated and she passed away here, all alone, on Oct. 6, 1922. As Jewish custom dictated, Sarah was buried in the Jewish Cemetery at Mountain View. After her death, according to Sarah’s wishes, Louis moved his family of the seven surviving children away from the farm, to the town of Hanna. With Sarah’s passing, Judaism disappeared from the Haniford family until October 2012, 90 years later, when Campbell discovered through genealogical research that Sarah was buried at Mountain View Cemetery. Beryl and Christi Cooke, Sarah’s granddaughter who lives in Kelowna and great-granddaughter who lives in Vancouver, went to the cemetery for the first time. The timing couldn’t have been more perfect. Shirley Barnett had just embarked on her project to restore the Jewish Cemetery at Mountain View and their paths collided. 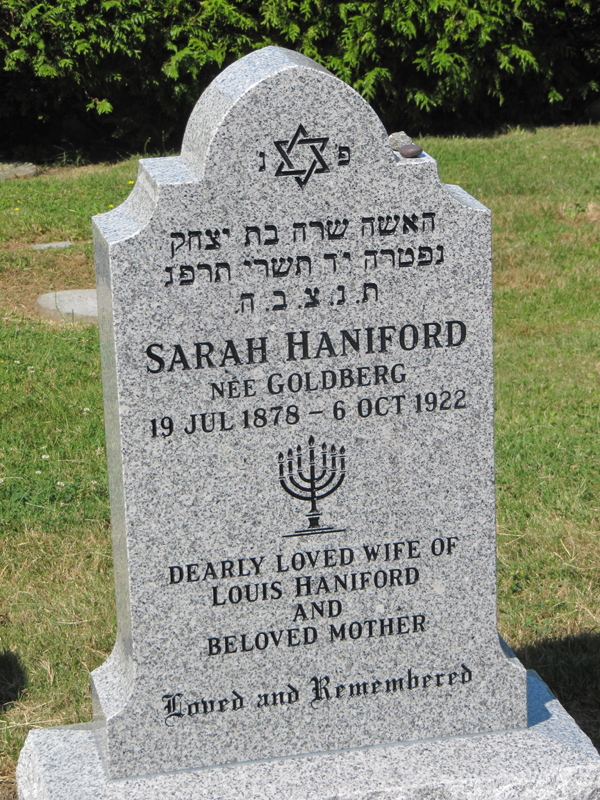 In October 2013, along with 146 other unmarked burials, Sarah’s life and death were recognized, with the placing of a temporary marker as the first step in restoring the Jewish cemetery to its former significance in the community. With this mitzvah, the plan to place a permanent monument was born. Among those attending the Aug. 3 ceremony were 25 family members, including grandchildren and great-grandchildren, none of whom had ever known Sarah – and many of whom had not seen each other in at least 15 years. Rabbi Andrew Rosenblatt and Rev. Joseph Marciano, along with members of the Vancouver Jewish community, were witness to the unveiling of Sarah’s headstone. 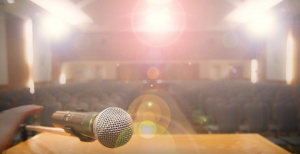 Sarah brought everyone together and, in doing so, helped rekindle her family’s connections to each other and to Judaism.